What's the volume of a hemisphere formula? This volume of a hemisphere calculator quickly finds the volume of a hemisphere with six various equations. Do you need to solve a specific problem but you don't know how to find the volume of a hemisphere? Try entering one of the parameters and see how simply this calculator works. A hemisphere, as the name suggest, is one part of a sphere that is divided into two equal halves. 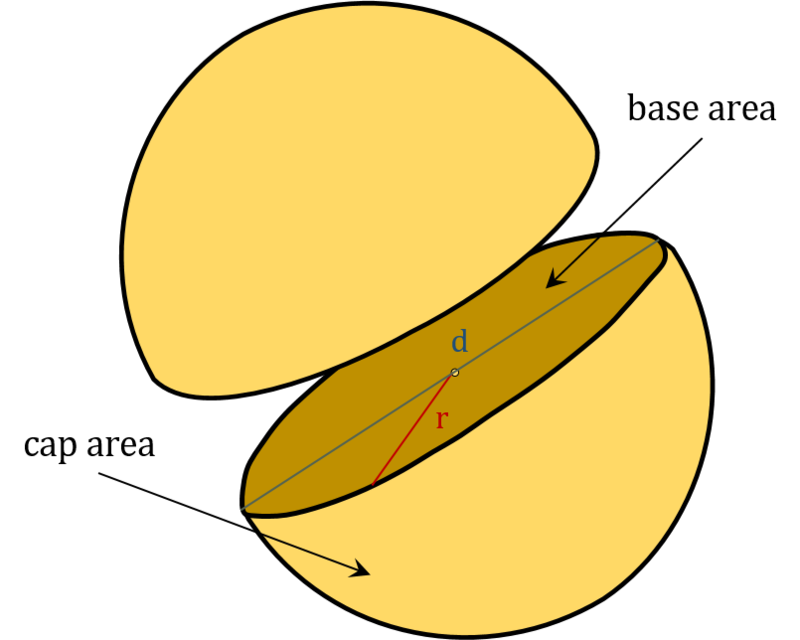 The total surface area of each hemisphere consists of base area (a circle) and cap area. On one hand, sum of two hemispheres surface areas is not the same as the full sphere surface area, but on the other hand, the sum of two hemispheres volumes equals the volume of a complete sphere. V(sphere) = 4/3 * π * r³. V = 2/3 * π * r³. The situation is a little more complicated with the surface area. If you want to find out what are the differences between sphere and hemisphere areas, head to the area of a hemisphere calculator. Briefly speaking, the hemisphere has an additional base area which should be taken into account. 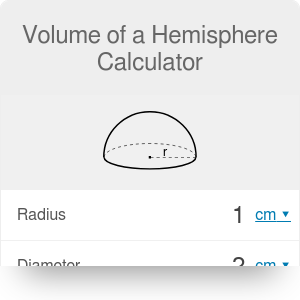 With our volume of a hemisphere calculator you can perform calculations in many different units (including SI and imperial units). Don't hesitate and check out our area and volume converters to learn more about various unit conversions! Given surface to volume ratio: V = 243 * π / (4 * (A/V)³). Hemispheres can be found in many aspects of our life. Many of the surrounding objects are shaped as a half of a sphere. In geography and physics, we often say that the Earth is divided into hemispheres: northern and southern. Did you know that when you travel by airplane, "an invisible" force is acting on you, taking you off the course? That effect is called the Coriolis effect and it acts differently on the northern and southern hemisphere of the Earth. Volume of a Hemisphere Calculator can be embedded on your website to enrich the content you wrote and make it easier for your visitors to understand your message.